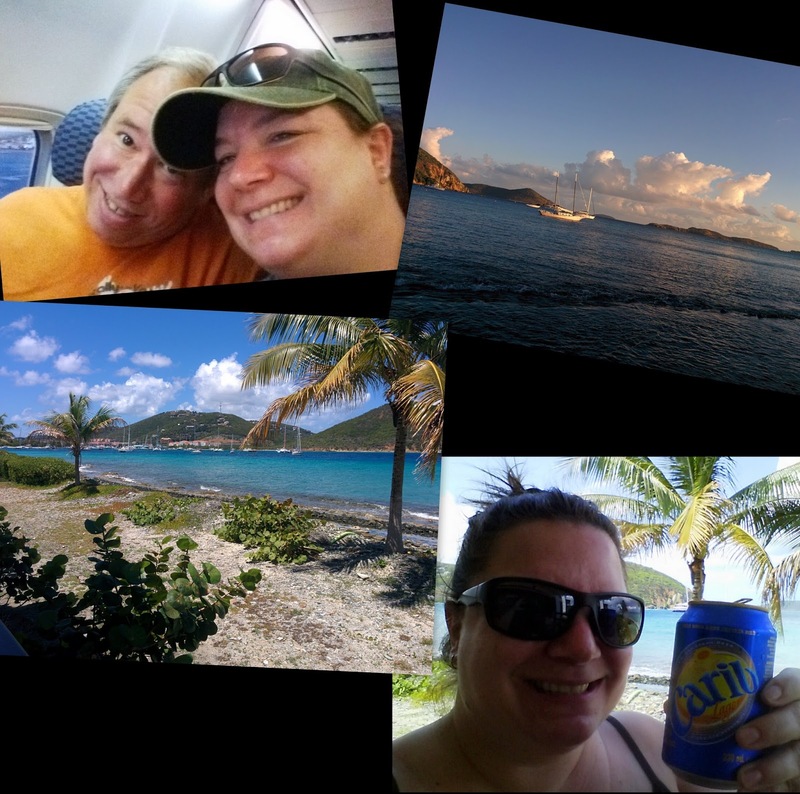 Hubby and I were in St. Thomas for vacation. I'd been to the island last spring with family and the only brewery in the USVI at that time was St. John Brewers. Aside from St. John Brewers, the only beer widely available on the island are brews such as Carib, Presidente, and the like - basically, the Budweisers and Coronas of the Caribbean. 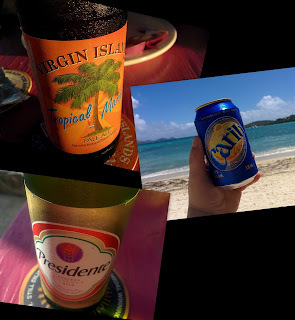 I admit I had my fair share of those every time I've been in St. Thomas, they're light and easy drinking. But, the availability of locally brewed craft beer is clearly lacking. 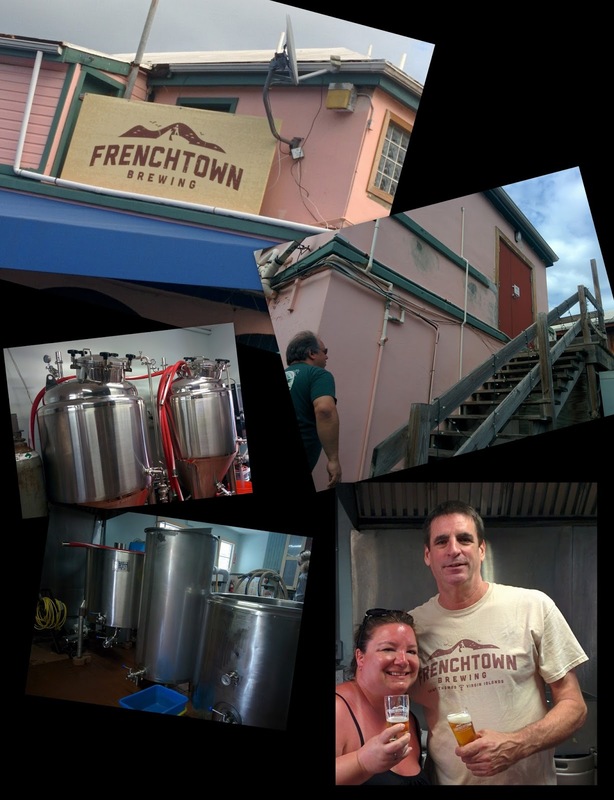 Imagine my excitement when I discovered a brandy spankin' new brewery just minutes away from where we were staying. 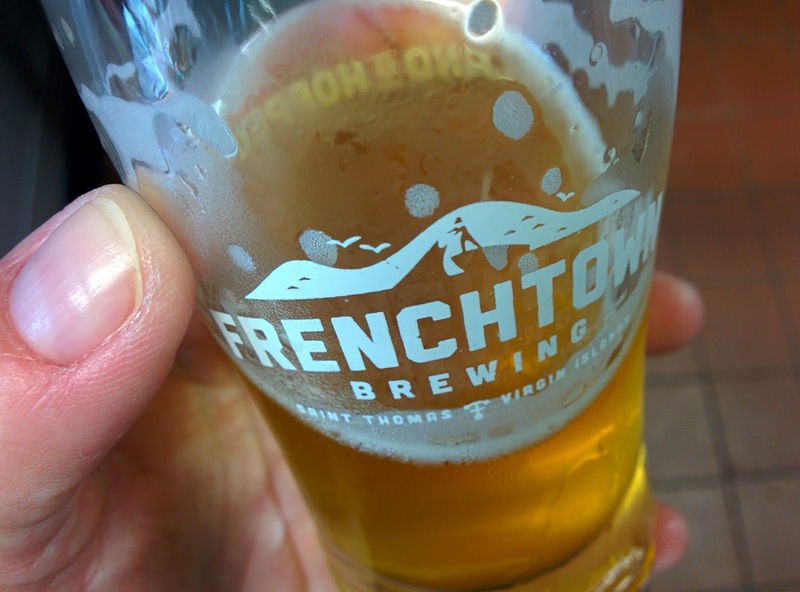 Nature abhors a vacuum and Frenchtown Brewing Company fills the craft beer void. Of course, I had to drop in and say "hey". FBC is a 3-barrel nano-brewery. They are located in the Frenchtown section of Charlotte Amalie down Hop Alley and up a narrow back-alley staircase. We were early for the regularly schedule tour but we were warmly greeted and admitted for a tour. Which basically consisted of a look at the shiny brewing system and drinking lots of samples. No complaints here! Mmmm, so good! 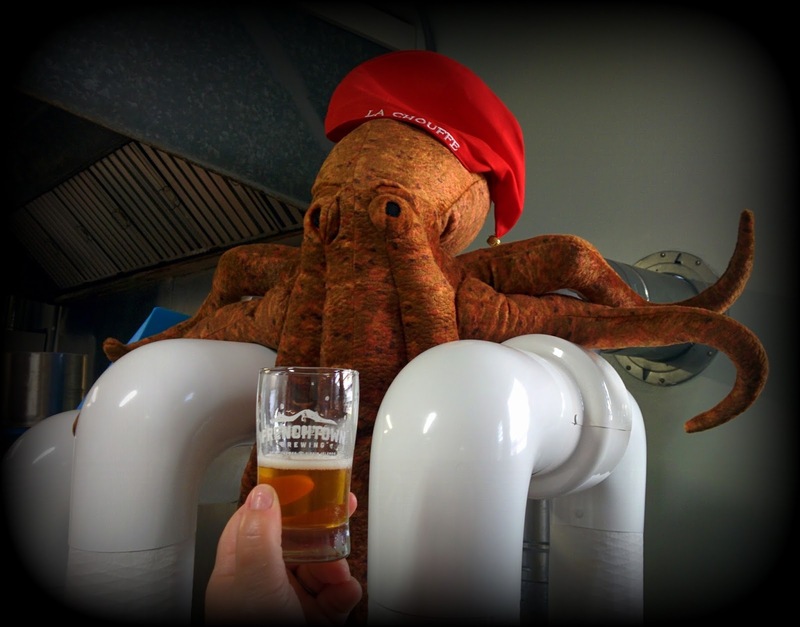 We got an opportunity to speak with Kevin Brown, the founder and brewer. One of the challenges with brewing beer on the island is the availability of water. Obviously, they are surrounded by an ocean of water but fresh water isn't readily available. So, I asked him about about this. The salty sea water is purified by the process of reverse osmosis; desalination removes the salt and other minerals from sea water to get fresh water. This process basically gives the brewer a blank canvas to create a water profile to fit any style of beer. We sampled three different brews and they were all remarkably true to style. Positively tasty too! 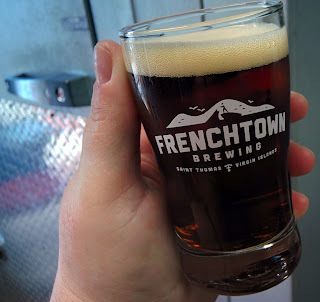 Rooster Brown Ale - 5.5% ABV - is a smoked brown ale that is brewed for the The Smoking Rooster; a local barbecue restaurant. I'm not a huge fan of smoke beers, but this one was quite nice. It is tasty brown ale with a hint of smoke. It was very smooth and drinkable. I imagine it would go down very well with a big honkin' pile of barbecued meat. Nom! 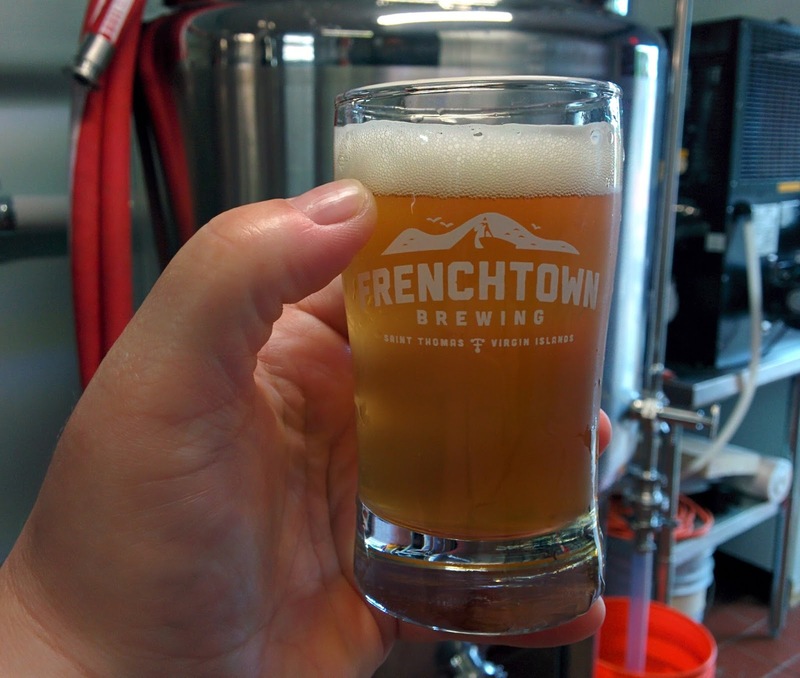 Frenchie Farmhouse Ale - 6.2% ABV - is a saison. True to style, it was a cloudy straw colored brew. It was nicely carbonated for a lively mouthfeel. It had the lovely fruit flavors imparted by the yeasts, banana and bubblegum flavors were pleasantly represented. A very nicely done Saison. Hop Alley IPA - 7.1% ABV - is a west coast IPA. This was, without a doubt, my favorite! 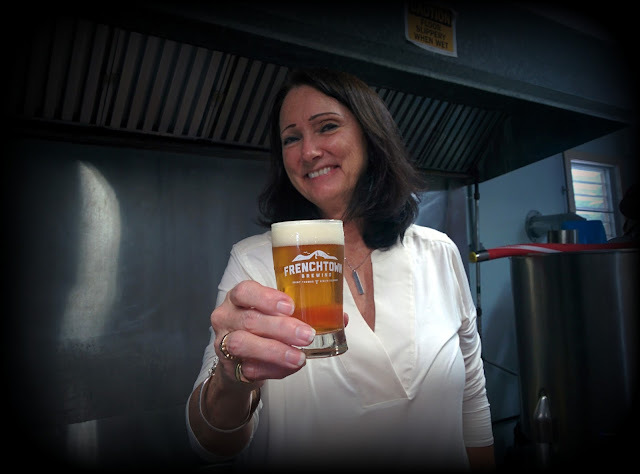 Brewed with a plethora of awesome hops - Citra, Warrior, Columbus, Amarillo, and Simcoe - the hop profile is amazing and the brew is oh-so tasty. Tart, fruity, deliciously bitter. Mmm, mmm good! 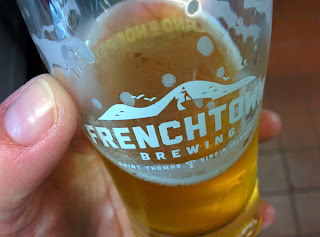 I will definitely be visiting again the next time I'm in St. Thomas! I can't wait to see what they come up with next!